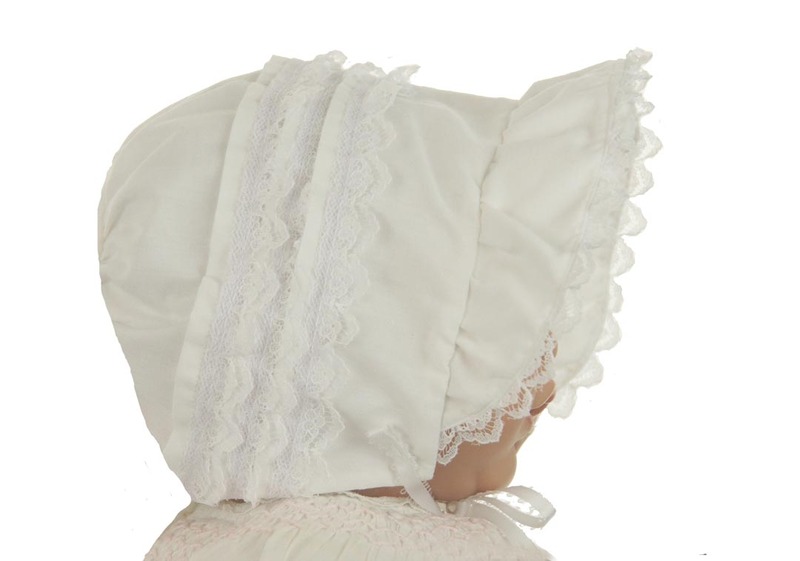 This adorable new custom made creamy white batiste bonnet is beautifully hand made with pintucks and three rows of bright white lace on the sides and it gathers softly to a closed crown. The wide brim frames baby's face with more lace. It ties under the chin with narrow white satin ribbons. 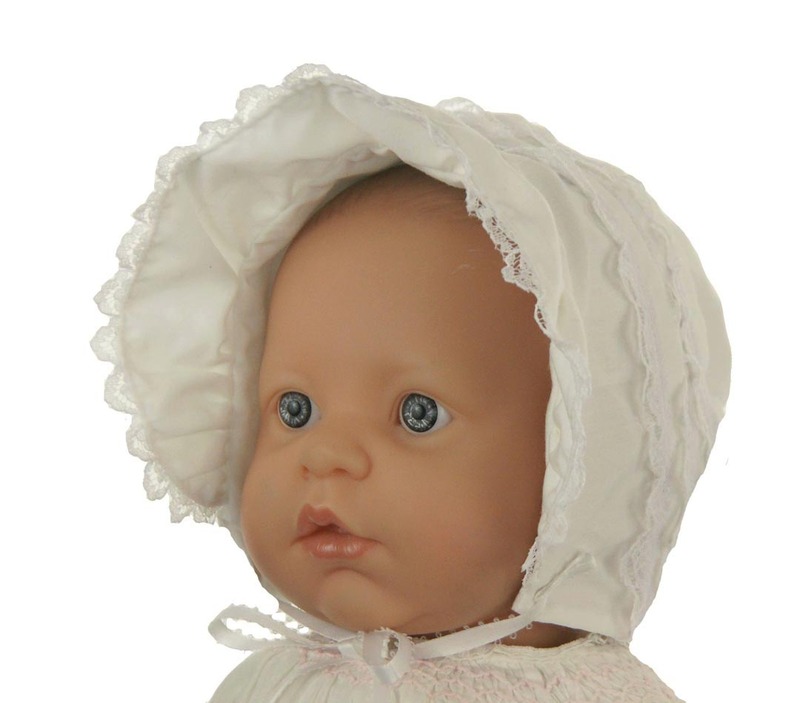 The perfect classic style bonnet for your baby girl! Perfect too for portraits, parties, christenings, or special occasions.